Jennifer Johns creates sounds and experiences that are sure to stir your soul, inspire your mind and move your body. This powerhouse vocalist, songwriter and producer vacillates between soul, hip hop, afro beat, dancehall, rock, reggae, deep house and more. Rocking stages from Denver to Dusseldorf, Los Angeles to London, Kuala Lumpur to Kampala, Jennifer has shared line-ups with the likes of Ms. Lauryn Hill, The Black Eyed Peas, Mos Def, Capelton, Ziggy Marley, Gil Scott Heron, Wyclef, Les Nubian, De La Soul and Common. Jennifer’s journey as a recording artist began in 2004 with the underground success of her first album, HeavyElectroMagneticSoularPoeticJungleHop. Songs like the title track “Heavy,” with its accompanying artfully futuristic video, broke through the national underground scene, making Jennifer a notable force in her field. In 2007 she learned the hard way about industry rule #4080 and was unable to release her sophomore album, Painting on Wax. In spite of the release issues, the project was still met with favorable reviews in media such as the Chicago Tribune, SFChronicle, URB, and XLR8R. While the album in completion never saw the light of day, songs like Ghetto International, Let the Drum Moan and Chasing the Sun made their way to independent radio and mixshows around the world. Jennifer never stopped making music or performing. However, until recently, Ms. Johns has not released much music for public consumption. “I needed some time to remember why I was given this talent and what it is for…” says Johns about taking some space from the entertainment industry. 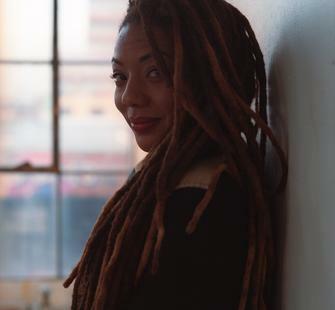 In response to her need for meaning in her craft, she shifted her intention from the entertainment industry to leveraging her art for social movements. Immediately she began to find herself sharing stages with thought leaders like Van Jones, Dr. Michael Beckwith, Phaedra Ellis Lampkins, Malkiya Cyril, Shawn Ginwright and others. Her brand of soul-inspiring sounds have landed her gigs at The Kennedy Center, The Apollo, and on stage for both NFL World Bowl and The NFL Hall of Fame. Over the last eight years, Jennifer has also become a Green For All Fellow, a BoldFood Fellow, the Artist in Residence at Food First, the First Artist in Residence at Langston Hughes Center for Performing Arts Institute, and a Kapor Foundation Grantee two times over for her video journal on sustainability and poverty called Go Liv. In February of 2016, Jennifer began a journey called The F.U.N. Manifesto to ask people about their ideas of freedom. What was meant to be a three-week trip became a 10-month odyssey that ultimately produced Jennifer’s first official release in nearly 10 years, AZANIA.